Register by June 30th for the Run to Wellness 5k and Save $10! 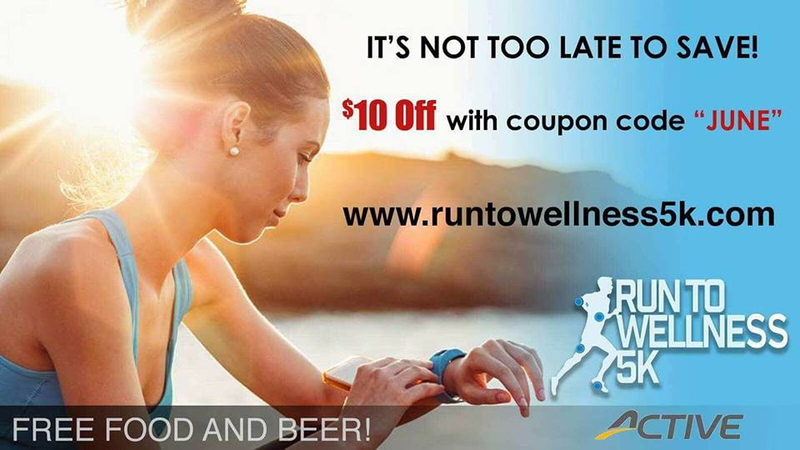 Use the code JUNE when registering for the Run to Wellness 5k by June 30th and save $10! Come join Dr. Spooner and the rest of Beaches Laser Spine & Pain as we promote wellness in our community and support Daniel Kids! Previous: Previous post: Dr. Spooner on River City Live!